Suzanne Young is one of my favorite authors so when I heard about this book's release, I was ecstatic! The premise sounds really interesting and after reading it, I can confirm that thought. I really enjoyed the idea because I and the main character were left in the dark for a long time. I was slightly frustrated but really on the edge of my seat and when things were revealed - I loved it! The main character, Audrey seemed kind of... stupid to me. I didn't mind her and even liked her intentions. This book has a lot to do with family and how far people would go for family love [not romantic love - which is interesting!] However, Audrey kept seeing suspicious things; characters would say things like "you're never leaving" and she would brush it aside. It was almost like she was in her bubble of happiness. 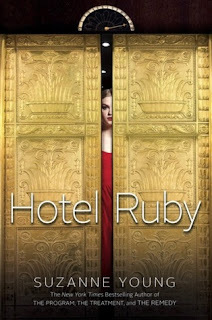 I wanted her to realize how creepy Hotel Ruby was and do some investigation of her own rather than keep screaming "I don't know what's going on!" like she did. I wasn't sure about the romance. It didn't really seem necessary. There was SO MUCH family love in this book. Audrey and her family have lost their mom so all of them are suffering. When they go to the Ruby, Audrey meets a boy and they hit it off. I do admit, Elias is charming. However, he isn't as charming as some I've seen and I felt like his shadiness was kind of a dealbreaker [for me.] Their romance went real fast so I kind of went unsure. However, in the end, Audrey's last decision was like the end of the Frozen movie [and equally cheesy but sometimes - that's what we need] and I was overall satisfied. Something I really did like that I always do like is Suzanne's writing. I felt connected to her world and very immersed in the story. Some of the descriptions made me feel like I was in this creeptastic hotel myself. Because of that, I really couldn't stop reading this one and it only took me an hour and a half. I blazed through this one because it was awesome! The actual Hotel Ruby has really interesting history. I like that there was an origin story and not just, "this is a creepy hotel and no one knows where it came from." What was really interesting to me was that some of the characters were descendants of the original Ruby and they always seemed to know more than they'd let on. I wonder why... hmm? Overall, this book, while it did feel juvenile towards the end, had a pretty good message and combined two movies [for two different age groups] to create a fantastic young adult novel. 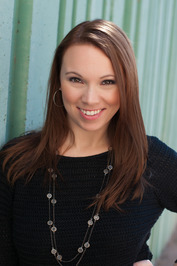 Suzanne is the author of several books for teens, including THE PROGRAM, A NEED SO BEAUTIFUL, and A WANT SO WICKED. Friend her on Facebook or follow her on Twitter @suzanne_young. I loved her series with The Program and the other books (lol I forgot the names). Those were one of the first books that got me into reading YA and loving it. I'm so excited for this one and will definitely be picking it up when it comes out. Damn I didn't even hear that this was being released.